Click here for a blog post with more information about these recordings. 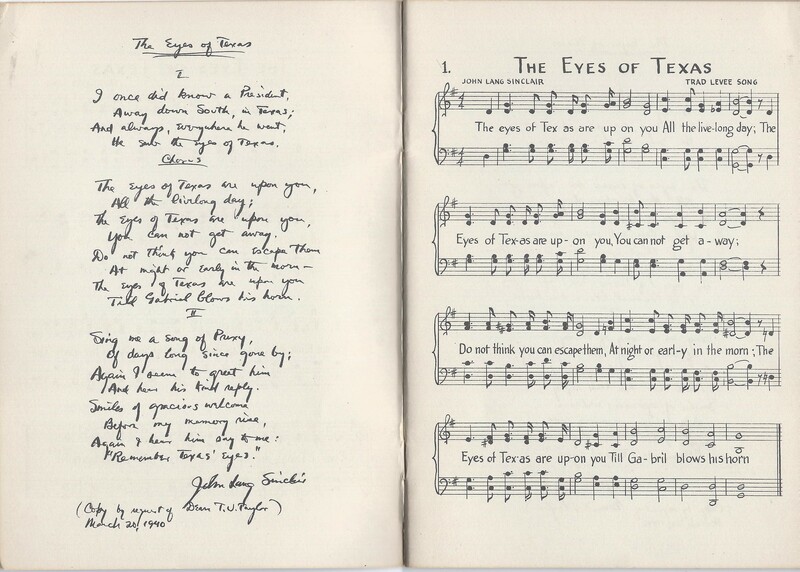 More on the origin of The Eyes of Texas can be found here. 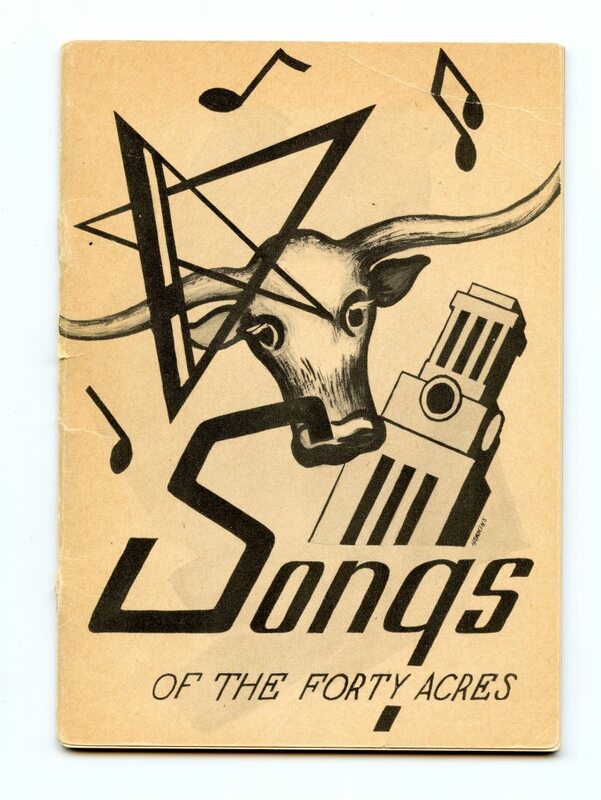 Music for these songs can be found in the 4 x 6 inch pamphlet titled Songs of the Forty Acres, which was published in the 1940s, around the same time as these recordings. Scans of the appropriate pages are below. Click on an image for a larger view. Thank you very much for making these songs available. type song. I learned later on that it used to be a staple of the band. It’s a shame the song no longer is a staple. Thanks, Jos! I won the record set in an EBay auction many years ago, but didn’t have a turntable to play the 78 rpm records. 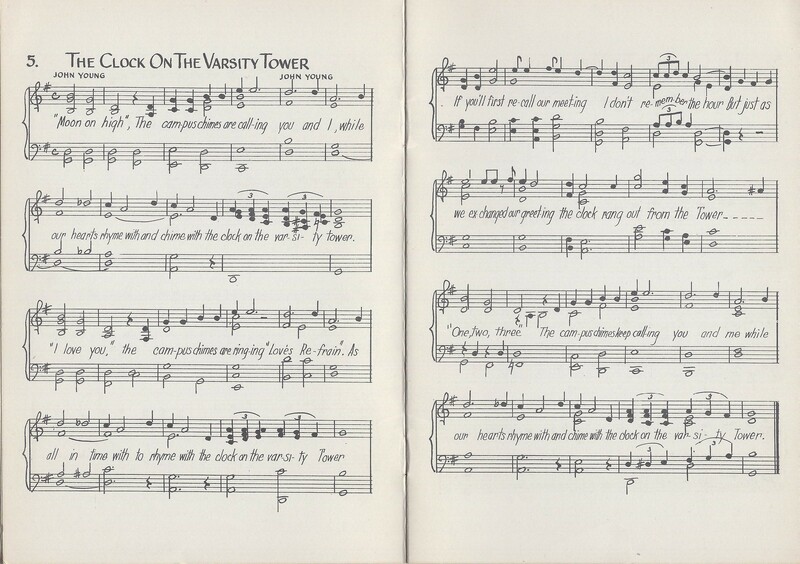 In 2008, I heard from the granddaughter of John Young, who composed “The Clock on the Varsity Tower.” A 1940 fine arts grad, he’d written the song as a ballad for his UT girlfriend (and future wife), and the family was looking for a recording to play at Mr. Young’s 90th birthday party. I found someone in Austin who could digitize and clean up the records, sent a copy of “Clock” to Mr. Young’s family, and later posted them here. 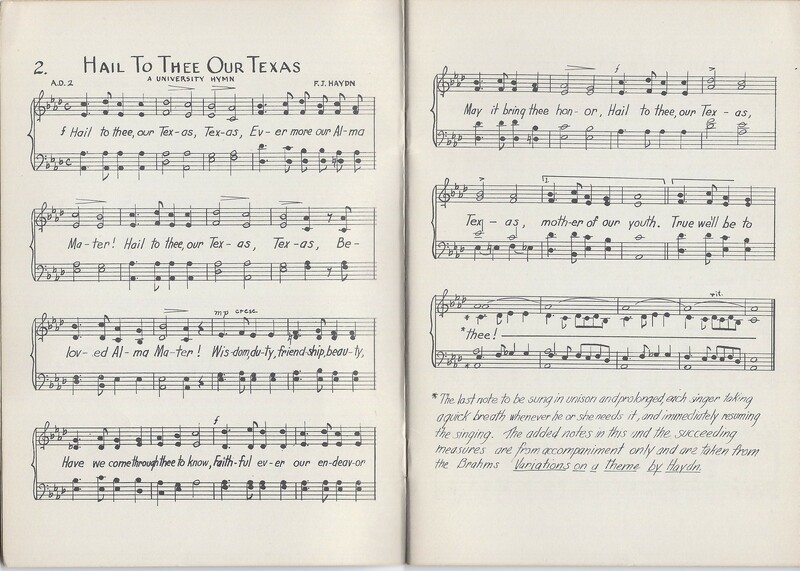 And you’re correct, the “Texas Victory Song” was played regularly at football rallies and games. I’m not sure why it isn’t any more – perhaps it’s time for it to make a come back! 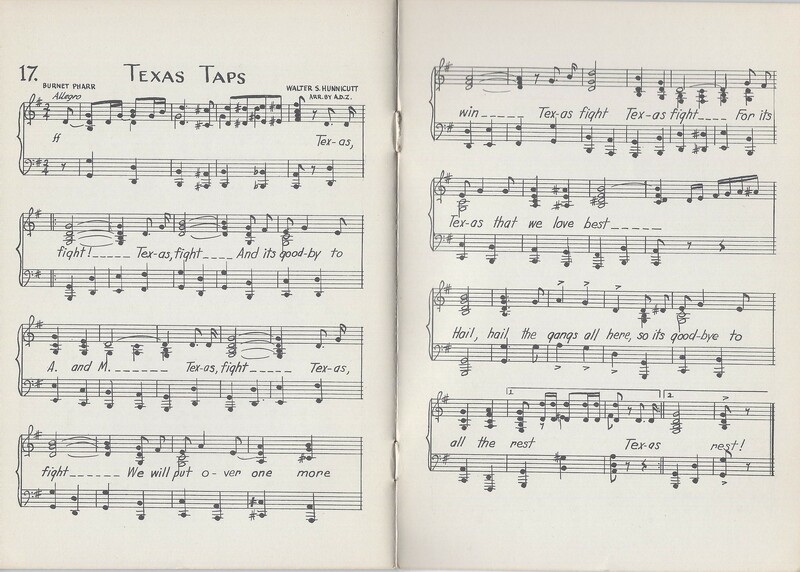 The Texas Victory Song tune is so familiar! 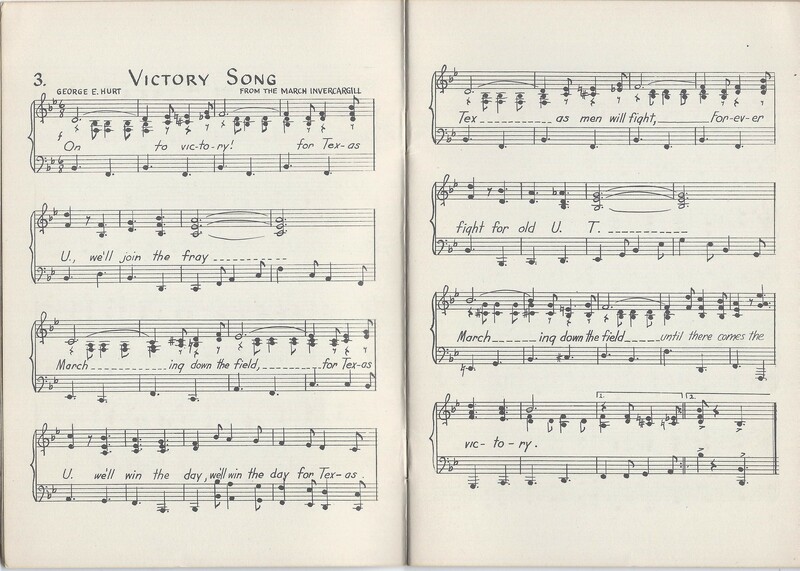 I’m glad you posted the sheet music image, I see it is from the Invercargill March. I learned from Wikipedia it is very famous and especially popular in the USA and with the Marines. I wondered if some other school might be using it as an alma mater or fight song, but Google didn’t turn up anything on that. 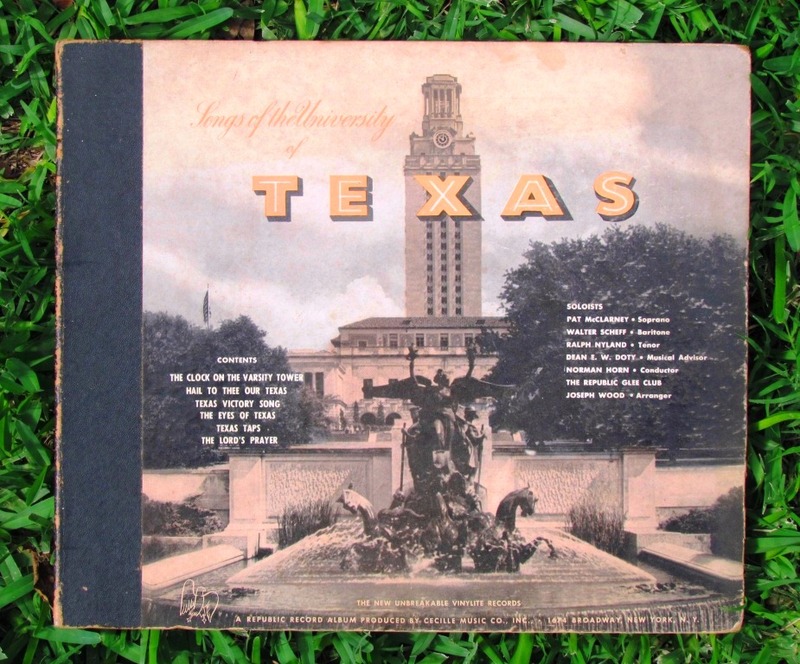 Because of its history at UT, I’d like to see it make a comeback.